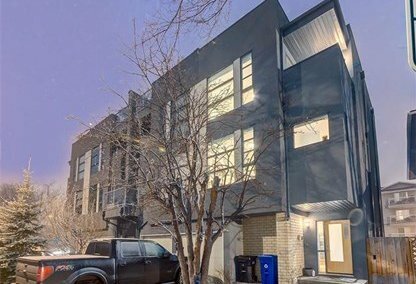 Find the newest Cliff Bungalow homes for sale in Calgary! The Cliff Bungalow neighborhood is nestled in the city centre zone of Calgary. It is an inner city housing community bounded by Fourth Street on the east side, Uptown 17th Ave. on the north side and Elbow River on the south side. Residents from the area enjoy the luxury of being just a few minutes away from Downtown Calgary. For information about Cliff Bungalow real estate for sale call your Cliff Bungalow Calgary team today. Cliff Bungalow housing market statistics: As of April 25, 2019 there are currently 16 properties for sale in Cliff Bungalow listed as active, with an average asking price of $371,972. The highest-priced property is $979,900; the lowest priced property can be purchased for $155,900. Cliff Bungalow neighbourhood listings have an average price of $384 per square foot, based on listings with 1.8 bedrooms, 1.8 baths, and 926 square feet of living space. 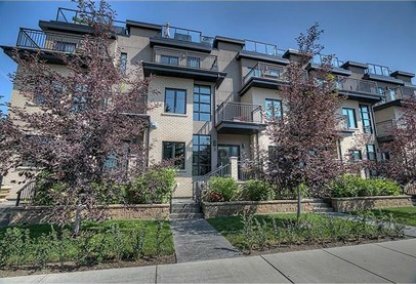 Looking to sell or buy a condo in Cliff Bungalow Calgary? Call Justin Havre at RE/MAX First - 403.217.0003, your neighbourhood Calgary real estate team. We are Cliff Bungalow real estate agents and experts on the Cliff Bungalow housing market in Calgary. The history of the Cliff Bungalow community started in the 1870s when the Canadian Pacific Railway was developed on the land. Between the years 1906 and 1912, property was gradually attached to the City of Calgary. In 1907 the neighbourhood was established. It was represented by Ward 8 Alderman John Mar at the Calgary City Council. In 1935, a re-zoning of the area was done to permit higher volume of residential real estate. The name “Cliff Bungalow” was not used until the year 1970. According to surveys, a large portion of Cliff Bungalow is comprised of apartments and condominiums, which is about 91.5% of the housing market. Homes used for renting reached 72.2%. Records also show that in 2005, the occupants in Cliff Bungalow had a median household income of $47,126. The average pricing of a Cliff Bungalow house per square foot is at $829/sq. ft and the average dwelling in the area is 1,941 square ft., which averages out to $1,661,950 per home. On the other hand, a Cliff Bungalow condo costs $383/sq. ft. The average space of a condo is 1,184 sq. ft., which means $498,544 per unit. 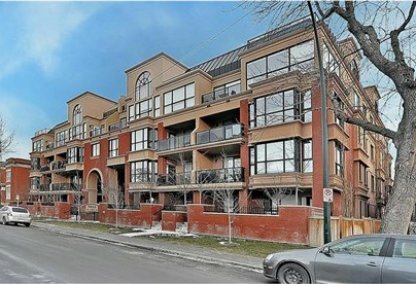 Other types of properties offered in the area are beautiful townhomes and single detached houses. The neighbourhood is alive with a lot of activities from the Cliff Bungalow Arts Center, Joyce on 4th, Casablanca Video, and Tompkins Park. There’s also Starbucks and Mercato Foods within walking distance. Schools in the Cliff Bungalow neighbourhood include the Montessori School of Calgary, William Reid School, Saint Monica, Saint Michael, Saint Mary’s, and Western Canada. 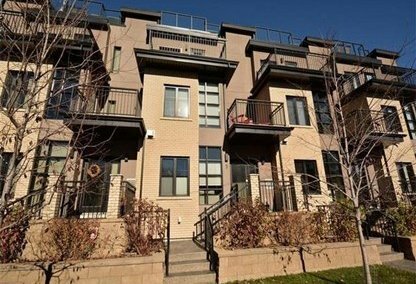 Looking to buy or sell a condo in Cliff Bungalow Calgary? Let our team of expert real estate agents help you navigate the search for your next home and negotiate the sale of your existing home. As neighbourhood Cliff Bungalow real estate agents, we know the dynamics unique to the Cliff Bungalow real estate market. We'll help guide your search today! Contact Justin Havre at RE/MAX First - 403.217.0003 to find out more about buyer or seller representation. Selling your Cliff Bungalow home soon? Check out our free home evaluation, where you can view Calgary Homes Values online in minutes!